Any company in the global marketplace needs document translation services, and many experienced professionals who have been in business for any length of time know the importance of a good professional translator. Those who have made mistakes and thus encountered some less than optimal translations may have learned the lesson even better. Communication across language barriers essential these days, so read these tips for better results when you are in the market for language translation services. The longer a translation company has been around, generally, the better. An experienced agency has probably handled a wide variety of professional translations, and they may not even blink at what you may consider a challenging translation request. 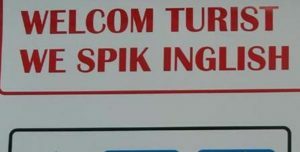 When a translation agency has seen it all, they know how best to handle a given task. But even a relatively new agency can give you fine work if their professional translators have years of experience – after all, the translators will be the ones doing the work for you. If an agency is brand-new, be sure to ask about the backgrounds of their translators. It’s well worth your time to look at a translation company’s or professional translation services website. Check for lists of clients and quotes from happy customers to get a feel for their strengths and clientele. When you communicate with the translator or company representative, ask for contact information from customers who had something similar to your document translated. – Before sending a translation to the client, how is the document handled? Some kind of review should be standard operating procedure in professional translations. The translator should run a spell check on the finished document before handing it in. Then, at least a second pair of eyes should look at every document to proof it for typos, grammar and accuracy. – This is mandatory, especially if you got a translation from some unknown person and are unsure of the quality of the work. Most translation companies offer proofreading services to improve a translation done somewhere else. – A translation into English should be suitable for the country where it will be read. There are differences between the English spoken in the U.K., in the U.S., in Australia, and in many other countries. Likewise, French should be different if the audience is in France versus other francophone European or African countries. You want the target language to feel “like home” to the person reading your document. Top-notch providers of document translation services will be alert to these variations in language and differences in cultures. – A good professional translator works by keeping in mind the appropriate style of language for the type of document. Advertising copy has a different style (snappier, simpler, more persuasive) than a legal document does, and a scientific paper’s style (very precise, suitable for experts in the field) would not work well for a tourism website. If you remember nothing else from this article, remember this: Your professional translator must be a native speaker of the target language. If not, be sure to have a native translator proofread the document for you (see above). Failure to do this can result in a confusing document that may be incorrect in places or one that just plain is awkward to read. Whatever your goal is for your document, you never want the person reading it to have to puzzle over the meaning, or even worse, to give up on reading it altogether. There are countless small subtleties a native speaker will catch that a non-native speaker can easily miss. If your subject is legal in nature or highly technical, you may want to ask about getting a certified translation, or find out whether the translator is accredited. This kind of credential is not necessary for many tasks, but it gives you an assurance of a more than adequate level of proficiency. For specialised documents, look for a translation agency that offers translators with expertise in various fields, such as law, technology, medicine and manufacturing. Each technical topic has its own particular jargon, one that not every translator will be thoroughly versed in. Effective businesses, no matter the field, are all about communication. When there is a translation being done, communication is even more vital, and it is definitely a two-way street. When choosing language translation services, consider responsiveness as a factor. How quickly does the agency follow up on a request or answer a question? Is the translator open to performing additional services like transcription of audio or video if needed? Do they show an interest in going the extra mile for you? On your part as the client, offer as much information as you can about the audience or intended reader for your document, why you need document translation services and what your final goal is. Are you writing for people with advanced degrees or are you writing instructions that can be easily understood by everyone? Are you selling a product? Persuading someone of your point of view? Educating the public about a health issue? This kind of information helps a lot in getting you what you need. Also, share with the translator which medium or media the document will be read in. Are you printing a user manual for a device? Getting an article printed in a magazine? Translating a website for tourists? Creating a radio or TV public service announcement? The medium has an influence on the message, and it’s as true in translation services as in anything. Most of the time, you won’t need to worry about what kind of software your language translation service uses, but if you have an especially big job or many repeated tasks of the same type, CAT (Computer Assisted Translation) tools can make a difference. Some popular software packages are SDL Trados and memoQ, but there are many others. 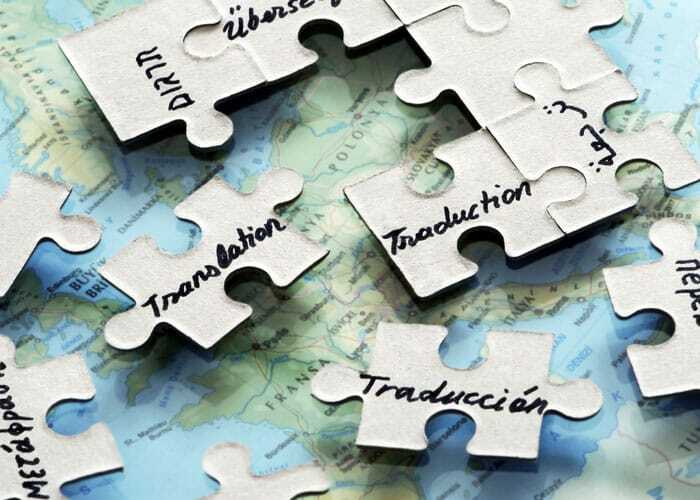 Translations of technical subjects can benefit from a glossary of specialised terminology, and features like a translation memory or a knowledge base maintained by expert translators can be a lifesaver for huge jobs. Special translation software can ensure consistency in the terms used repeatedly in many different documents. If your document runs to hundreds of pages or more, or you will regularly need many instances of a particular kind of document translated over time – maybe years – be sure to ask if your translator uses CAT tools. Here is something, again, that not everybody needs to be concerned with. If you are publishing a collection of recipes or having your great-grandmother’s memoir translated, security and confidentiality needn’t be uppermost in your mind. But if your translation deals with a sensitive legal issue or contains information that your company considers confidential, this is essential. Ask whether the translation company and its professional translators have signed confidentiality agreements and find out what their security procedures are. Sure, you can plop your text into a number of free translation websites and get instant results. This is fine for writing a personal email to a pen pal, but you can’t count on using the results for anything more formal. As advanced as computer technology is these days, language is even more complicated, and computer translations just don’t cut it for anything beyond simple sentences and subjects. A machine translation may hopelessly mangle what you spent precious time writing. Need proof? Cut and paste a paragraph of text from just about anywhere into one of these translation sites, translate it into another language, and then translate it back into your language. You’ll find that what you get back may be garbled. You can get a good translation without emptying your bank account, but be very careful of judging a language translation service on cost alone. We have all had the experience of trying to assemble a piece of furniture or reading the pamphlet that came with a kitchen appliance and encountering a poor translation that leaves us confused or frustrated. You may have seen things like “Unplug after suing” or “Please check the voltage with agree with physically” or “Understand beforehand because the responsibility can not be assumed about the accident in case”. Most likely, those translations looked like great bargains to somebody in terms of the price tag, but it’s obvious that the companies that paid for them didn’t care very much about the person reading the text. The bottom line is, if all you care about is getting your translation done cheaply, you’ll run into trouble. The web is full of such examples, so enjoy a giggle, but be sure that your translation doesn’t end up on one of these sites. It won’t be funny when it happens to you. Finally, the quickest way to go wrong is to rush through the process without doing your due diligence. Haste makes waste, right? Follow these tips to be sure to hire a professional translator who will provide excellent document translation services rather than entrusting your job to the first person you find. You don’t have to spend hours and hours of your time, but a little while spent planning ahead can save you a lot of aggravation in the end. If we at Espresso Translations can answer any questions for you, do not hesitate to ask us about anything. You’ll find that we are friendly, experienced, good communicators with the expertise and concern for quality that you need. You need look no further for the best document translation services. We were here all along!